Harry Gasser, legendary newsman known to many as anchor of RPN's NewsWatch, passed away this morning from a complications of a stroke. He was 76. Gasser anchored the now-defunct RPN newscast during the Marcos regime. He later on worked at Radio Veritas as news manager and on ABS-CBN as anchor of TV Patrol Cebu. Bandila anchor Julius Babao called Gasser, "the Walter Cronkite of the Philippines." He adds, "I grew up watching him do the newscast on RPN 9. Our TV was always glued to Newswatch. Whenever we hear his voice, it was our cue that our meal was already on the table." "A few years back I was fortunate to meet this childhood hero of mine. I was the one who presented him with a Lifetime Achievement award given by the Philippine Movie Press Club. He is an inspiration not only to me, but to the people who knew him. Who worked with him and grew up watching him on TV. Harry, thank you for bringing us the news," said Babao. Balitanghali anchor Raffy Timma described him as his favorite anchor, saying: "Way before I ever imagined being in the industry, Harry Gasser was my favorite. His deep calm voice was a joy to watch & hear." Gasser's remains will be brought to the St. Peter's Chapel in Quezon City. RIP Mr. Harry Gasser. One of PH's newscasting greats. I watched Harry Gasser & Ka Kiko Evangelista deliver the news growing up. Their english was impeccable. The last of a generation has passed. 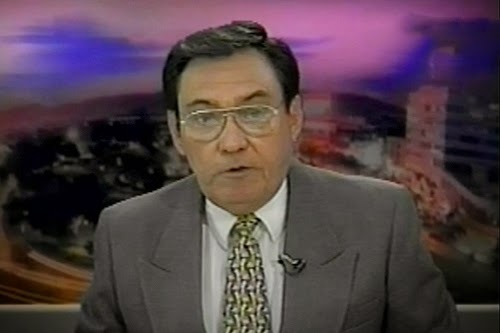 another news casting icon passes...RIP Harry Gasser. Way before i ever imagined being in the industry, Harry Gasser was my favorite. His deep calm voice was a joy to watch & hear.